KATHMANDU, June 23: Nepal Medical Council (NMC) has directed private colleges to cancel the admissions in the postgraduate (PG) studies taken against the set norms and rules. The private colleges had reportedly admitted the students at PG level in disregard of the merit list by charging fees in excess of the ceiling, according to the NMC. "So we have issued them a public notice to cancel all such illegal admissions," said Dr Dilip Sharma, registrar at the NMC. "NMC will not register the graduates admitted illegally by the colleges. Also PG holders will be automatically disqualified and barred from practising as specialists," he added. "The colleges and the guardians will be to blame." For MD/MS/MDS studies, the medical colleges in the country have reportedly been demanding fees up to three times the ceiling fixed by the government. 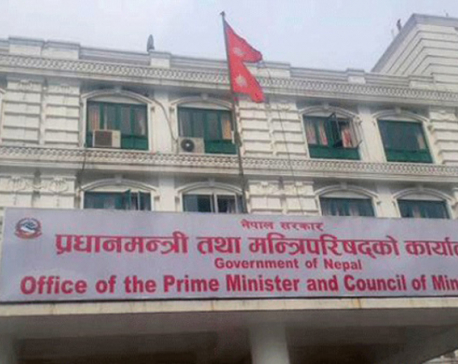 NMC offcials said they have recieved complaints of colleges charging up to Rs 10 million for the PG courses. The Tribhuvan University has fixed Rs 3,099,396 as the fee for PG studies. Medical colleges under the TU and Kathmandu University take in around 600 students for MD/MS/MDS courses annually. The medical colleges affiliated to the TU's Institute of Medicine (IOM) enroll around 170 MD/MS/MDS students every year. At present, the IOM, which has more than 100 seats for PG courses, has already administered the entrance tests. Nearly 2,400 students had appeared in the entrance test taken by the IOM this year. In the past, the individual colleges used to admit the students after entrance tests. The IOM has already published this year's entrance results based on merit. A total of 1,925 examinees have been selected. The highest achiever has secured 85 marks. Under the TU, the MD/MS classes are taught at the IOM, Universal College of Medical Sciences in Bhairahawa, People's Dental College at Nayabazaar in Kathmandu and National Medical College in Birgunj. The KU has fixed Rs 2.25 million as fees for the MD/MS courses while the TU has fixed Rs 3,099,396 for the same courses. According to the Nepal Medical Council (NMC), more than 6,000 MD/MS holders are registered in the medical apex body. Many MD/MS holders are practicing without registration with the NMC, according to NMC officials.